Thanks for sending out that newsletter. Of course, I recognized our mum immediately on the first page. It is true that she absolutely adores Laura, who listens to her and takes care of a whole bunch of little things that need to be done. Maman has told me that a lot of people think that Laura is her daughter, and that’s a good thing – she’s also told me that she never corrects those who make that assumption. In the home where she lives, there is a lot of value attached to people who have ‘family’ who come to look after them! Sort of like the ‘elite’ of the bunch, whose family is devoted to their care. Thank goodness for Laura whose weekly visits provide our mum with something to boast about! As her ‘sister’, I’m sure glad she’s taking care of our mum, and, in some ways, of us too! Without your services I do not believe that Kirk and Carol would be able to maintain the quality of life that they have today. I will go so far as to say that without your services, even utilizing alternatively the government services that are available today, that both my Mother and Kirk would mentally decline so rapidly that they would be in a care facility in a few months. And because of the individuals that my parents are, I believe this would shorted there lives substantially. 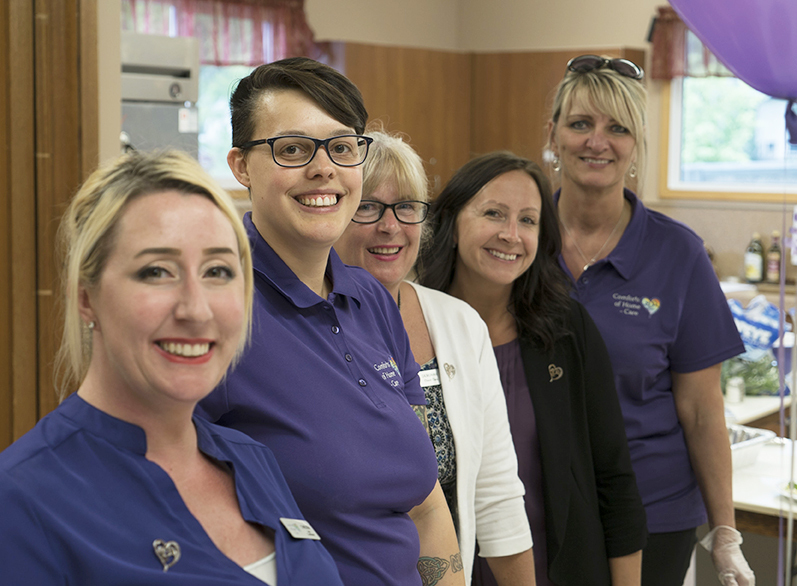 I met five of the caregivers during my stay in Winnipeg. All of them were exceptionally well trained, most professional, and yet very personable and encouraging to both my Mom and Kirk to make the daily decisions and interact with life. Kathryn prepares exquisite meals and deserts using a combination of my Mothers recipes and her own. Kathryn is very conscious to provide exceptionally wholesome high protein vegetarian meals, not only for the days she is working, but for the other caregivers to warm up on their shifts, if they choose. Kirk is given ample meat without changing the menus. All of the caregivers allow my Mother to feel “in-charge” of the meals, groceries, and the home, yet assisting her wherever there is a need. All of the staff is very patient and interacts very well with Kirk in both verbal conversation and kinesthetic participation. Comforts of Home Care provide all of the physical, mental and social needs my parents have without taking away any part of their individual and personal lifestyle. Thank you so much for all that you provide. Even though I live so far away and in another country, you bring me great peace and reassurance knowing that my parents are well cared for in this time of there life . Your caregiver Sheryl S is to be commended for her commitment to help Gordon B with his physiotherapy exercises. I wasn’t sure Gordon would ever be able to walk the halls, or even in his suite again, but with Sheryl’s gentle persistence and assistance, Gordon is now able to walk the halls of the Assisted Living Facility he lives in. I am so impressed with Sheryl’s gentle yet persistent care, and want you to know that Sheryl has made a tremendous difference. The arrangement with Comforts of Home – Care has worked very well for me and I thank you for your service. Thanks. I would recommend the Comforts of Home – Care service to anyone looking to ease your mind and have a loved one taken care of in a professional and cheerful manner. My mother was treated with respect and much love. Thank you cannot express the gratitude we have for helping us out in our time of need. The service was set in so fast; I thank you for that Katherine. Joanne, a big hug for you, making sure my requests were filled, and that they were. You are an angel for putting up with my mixed up mind! Ha! Mom is now safe at Poseidon Centre, she really enjoys it, and she met a woman she went to school with. Just great! Feel free to go visit her. Again a big thank you to all for everything! Gisele B. & Therese B.
Dear Katherine, Your tribute to Eira (Babs) and Rhiney is so lovely! It warmed my heart, prompted some tears and once again strengthened my belief and gratitude in the fact that you are an integral part of our extended family. Alison, Lubna, Kelly and you have given us so much of yourselves always and particularly during this difficult time. I will forever remember that. Thank you for taking time to write such a beautiful tribute in your newsletter. Thank you for helping me to maintain my “independent” life style. Dad passed away just before midnight last night. I was very happy to be with him at the time. It was very comforting and helpful to have Sheryl helping us over what was a difficult time for Dad. Thank you. I finally had an opportunity to meet Sheryl and am absolutely impressed and very happy she’s helping my mom. Upon performing my regularly scheduled spot check at the K’s home I was greeted by a hand written sign that said that Mrs. K, post stroke and seizure, can now bear weight. As it turns out the WRHA physiotherapist has trained JoAnn S who in turn has trained Sona (caregivers) to perform physiotherapy exercises with Mrs. K – who can now bear weight and no longer has to use the hoyer lift. Care Coordinator, Comforts of Home - Care Inc. I had a message this morning from our evening nursing staff asking that I communicate with your agency how professional and wonderful Ivania is. They felt she was wonderful in handling the situation with Debra last evening. It is very comforting to our staff, who care deeply for these residents to see that they can trust someone from “outside” to look after them in a sincere and compassionate way. Of course, I was not surprised by this message! But I am happy to pass it along! To all the wonderful, supportive staff at Comforts of Home Care Inc. I wish to express my great appreciation for the support services you provided for Thelma and the kind and caring manner in which it was given despite all the challenges. All staff provided me with patience, understanding and support as we struggled with the various schedules and needs changes. I am truly thankful for that. The home care team was always excellent. I will recommend your company to anyone I meet requiring some care and support. I just wanted to say what a wonderful caregiver my mother has in Sonia. My mother is so lucky to have Sonia two days a week to brighten her life. Sonia is so much more than a caregiver to mom, she is a good friend. My mom lights up when she knows Sonia is coming and looks so forward to her visits. My sisters and I know that Sonia has our mom’s best interest at heart and she provides so much more than all the work she does at our mom’s suite. We are so lucky to have Sonia be a part of our lives (she makes everything so much easier for us as she does so much) and don’t know what we would do without her! I just wanted to let you know what a wonderful employee you have in Sonia. I just let mom know what days Gerilyn is coming she is excited she will still be seeing her. Mom asked if they were going out. I told her they could if she wanted to. Mom is very happy in her new place. She never turns down an activity and the food is wonderful. Mom is thriving, every day she tells me how much she likes it. Moms is safe and happy, that is the best Christmas gift for me. Gerilyn, is an absolute blessing! When it became apparent that we cousins could no longer give our Auntie Helen the kind of attention she wanted we didn’t know what to do. One of the cousins had heard of Comforts of Home Care and suggested I give them a call. I did and on our aunt’s 94th birthday Katherine and I met with Auntie Helen to discuss what she needed. I felt comfortable with Katherine immediately. She was understanding and supportive of our situation. It was agreed that we would have a companion for Auntie Helen once a week to do whatever she wanted. If we needed extra time for medical appointments for example, I just had to contact Comforts of Home Care in advance. Connie became Auntie Helen’s companion and it was a match made in heaven. They developed an immediate bond and genuine affection for each other. Connie took her to lunch, took her shopping and just spent time with her. When Auntie Helen had to go to hospital in November, Connie visited her often. She helped her with meals and did her hair and nails. Auntie Helen’s memory was going so Connie took pictures of the activities they did together and posted them on the wall in Auntie Helen’s hospital room. Connie bought a Santa hat, which my aunt was wearing the night she died. They had spent the afternoon together at the hospital doing activities and laughing a lot. Connie brought joy and fun into my aunt’s life. It was such a relief to us cousins to know that someone was caring for our aunt who genuinely cared about her well being. I sincerely recommend Comforts of Home Care to anyone who is feeling overwhelmed by caring for someone who is in failing health either mentally, physically or both. Their assistance allowed us to enjoy the time we spent with our aunt. Grace and Marty are doing such a great job with Suzanna. This companionship is exactly what she needed, and I have seen a huge improvement with her. Grace especially has done for Suzanna what no one else has done. They sing hymns together, Grace plays piano, and it has boosted Suzanna tremendously. She used to tell me she felt like she was in prison, and now she no longer does. The Convalescent Home has been so very impressed with the quality of workers and the professionalism of your agency. Thanks for your time and efforts. We had Carla, from Comforts of Home Care, come in 3 times a week to take care of my mother Lena. It worked fantastically; Carla would take her to her Dr appointments, for coffee or just for walks. Carla also took care of Mom for the lunch times and kept her company. Her cheery personality and willingness to help was outstanding. My mother grew to depend on her and look forward to her visits. Using the binder to communicate with Carla was excellent; she took the burden and the worry off me. I would recommend Comforts of Home – Care to anyone looking to ease their mind and have a loved one taken care of in a professional and cheerful manner. My mother was treated with respect and much love. Thank you. There are not enough words to express how grateful we were for your loving care of Jennifer during her illness. Whether “up or down” we were always rest assured she would receive utmost attention, not always an easy task (we know!). May God bless you & many more good years of service. I want you all to know how deeply thankful I am to all of you. It is because of all your help, kindness and understanding that my mother was able to stay in her beloved home. Dianne, with all my heart, thank you for your actions on Feb 17th and not leaving her side. The saddest day of my life came on March 26th (when she died), but I find happiness in knowing she was able to be at home. I will never forget my mother and I will never forget you folks. Many thanks for your fabulous services. I couldn’t have done it without your patience & understanding at this topsy-turvy time. May dad has really enjoyed his time with the facilitator of the Brain Vitality program. He has benefited greatly from the sessions. He has also been pleased with the home care person. Your service was very timely for my father and the compassion and listening ear the staff has provided has helped him move into a new season in his life. Thank you for your services to my father. Lynne’s fine services will not be required in a short while as mom will be admitted to the Lodge in the near future. Lynne has done an outstanding job, and is to be highly commended! Thank you so very much. Thank you so much for you kind words. You gave me such comfort at this difficult time. I am so grateful for all the support from Lubna, Kelly and Alison…… They attended the funeral service and their presence helped us get though a difficult day . . . we are forever grateful. They are all much more than companions for Eira and Rhiney. They are so crucial in our lives as we all come to terms with the reality of Eira’s passing. They are also helping Rhiney in so many ways now as he is so very alone. I said it before and I will say it again: we are so lucky to have all of you in our lives. Thank you again for all the support. Thank you for your card and for remembering us in our loss. Thank you also for the wonderful way you cared for my dad. 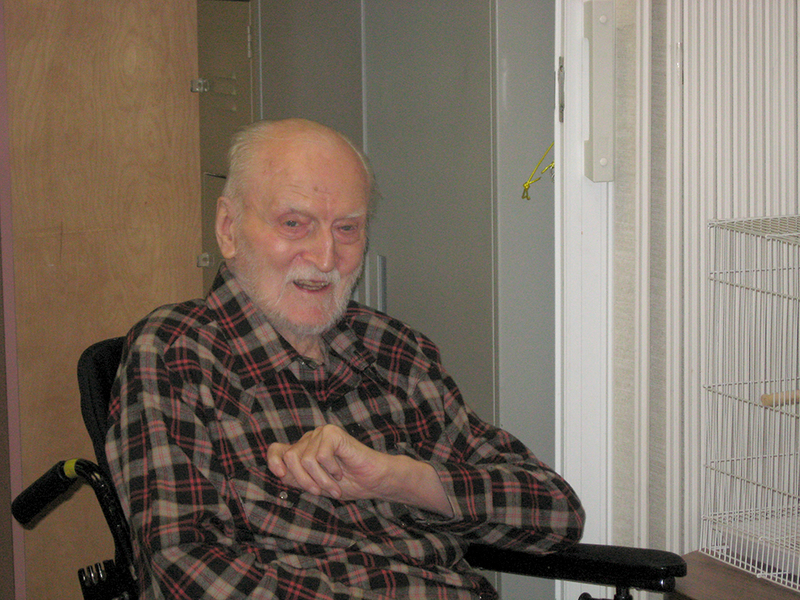 He is now in a nursing home and doing well. Thank you to you all, especially to Debra. May God bless you. …..I want to pass along to both you and Jerilyn how much my mom appreciates Gerilyn’s care. After each and every visit, my mom always tells me how sweet and special Jerilyn is. That there is not a kinder, more bubbly person. That means the world to me! Thank you so much for all of the care and kindness that your wonderful staff showed to Monica during her time at the Golden Door. It was such a comfort to know that she had such good care and company when her family could not be there. Thank you for providing such great caregivers and being an agency with genuine care for clients and patrons! The office staff are so adept and conscientious in their work! Have a wonderful Christmas and a Prospering New Year! We really appreciate the service you are providing for our mother Edna. Thank you for the wonderful service you provided. I would not hesitate to recommend you. I worked a shift with Cecile today. She insisted that I message the office to tell them how much she loves Diane as her caregiver! 🙂 I am so glad that Diane is making such a positive effect. She spoke of her often, and with great fondness. Thank you for the opportunity to visit Cecile – she’s a wonderful lady, and we had fun together. I’ve love working as a caregiver to seniors. It is so enriching being able to make life a little easier for my clients. I love to hear their many stories and laugh with them as we share a joke or funny episode. Mostly I feel privileged to be serving our seniors in whatever way I can; they have given so much in their lives, it’s time to give back to them. 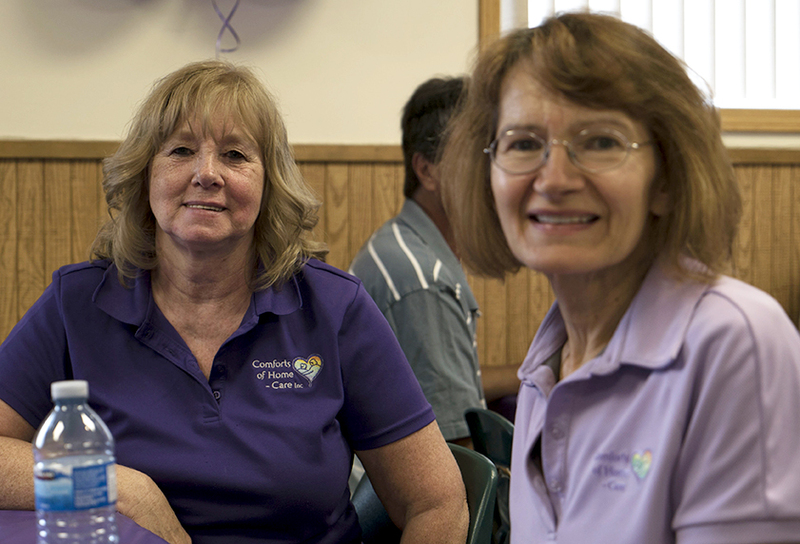 I like working for Comforts of Home – Care Inc because I work with such amazing people! Everyone is positive, encouraging and fun! We all work really well together to help match our clients with the most suited caregivers. It is so great to be part of team who help creates such an atmosphere of excellence! I always like helping people. My clients remind me of my grandmother whom I helped at times in Germany. I like to make my clients happy and often bring flowers or something I’ve cooked. We play music, give hugs and have some laughs together. Letting them know they are loved brings joy to my day! I always felt that my job was to let my client feel that their life hasn’t changed, that they still have their independence and are a value to society, but now they have a friend to help them do it with. I think it’s important to keep them engaged in life, news and activities. Sometimes being a friend means helping them do what’s best for them, not just doing what’s easiest. It breaks my heart to see seniors who can walk end up in wheelchairs or watch them stop doing the normal things that they may be capable of doing just because they’ve lost heart and the will to be independent. I hope that I motivate my client to live, be healthy, enjoy life, and retain their sense of individuality and importance as a valuable human being. Getting old is hard, but feeling useless is harder yet. I think my job is to make them see how important they are to me and to the world. I loved my training and the fact that learning is always ongoing. If ever I haven’t been sure how to handle a situation, again our amazing support staff is available to speak with and we are always supported and guided in only a positive way. I have been with my current clients for nearly two years and they have become dear and treasured friends! I think it’s nice for them to have me to talk to about their frustrations with dementia because I accept my client for exactly who she is, and for what her capabilities and limitations are. This is because I am not family and I never knew her in her younger life. Her children may feel frustrated because they remember her for who she was before the dementia and the short term memory loss. It’s such a satisfying feeling to see their smiles when I arrive and to know that they trust me. 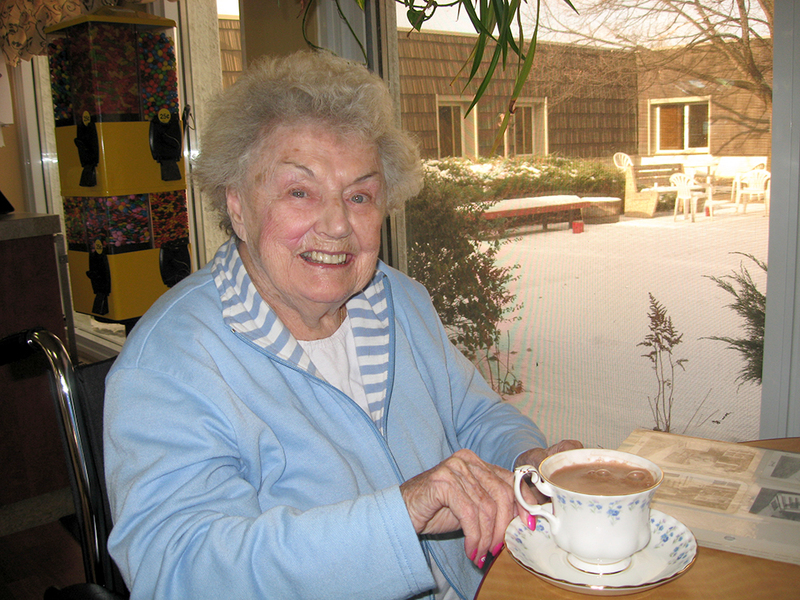 Her husband feels relaxed and is certain that his wife is being cared for, the home is being kept up, meals are being made at home to enjoy in the evening together and that his wife is being stimulated both physically and mentally – which allows him to get out and take a break from being the caregiver. I definitely am making a difference in their lives. When I have been away on holiday and haven’t been to their home for a week or more, I am received not only with smiles but hugs as well! 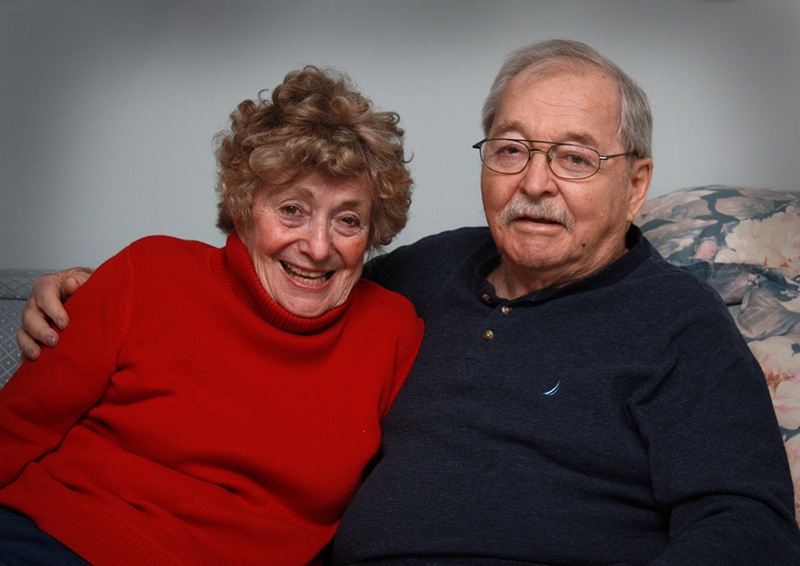 Being a member of Comforts of Home – Care has made a positive impact in my life, too. I understand seniors better, I am more aware of all that seniors have to cope with, and it has taught me to look at seniors as older adults not “old folks”. I love what I do for Comforts of Home – Care and I only wish that I had found my calling sooner. Thanks Katherine for such a great experience! I really enjoy working with – and for – you! First, the people in the office are not only efficient (with us, caregiver and with the clients), but they are all so nice and always there for any questions and advice. I know also that the team calls and ask the clients if they are satisfied. I was so surprised to see how much energy they use to listen to the clients and be sure that the service is good enough – I have seen in other companies many people who pretend to work for elderly people but don’t care about their feelings and concerns. 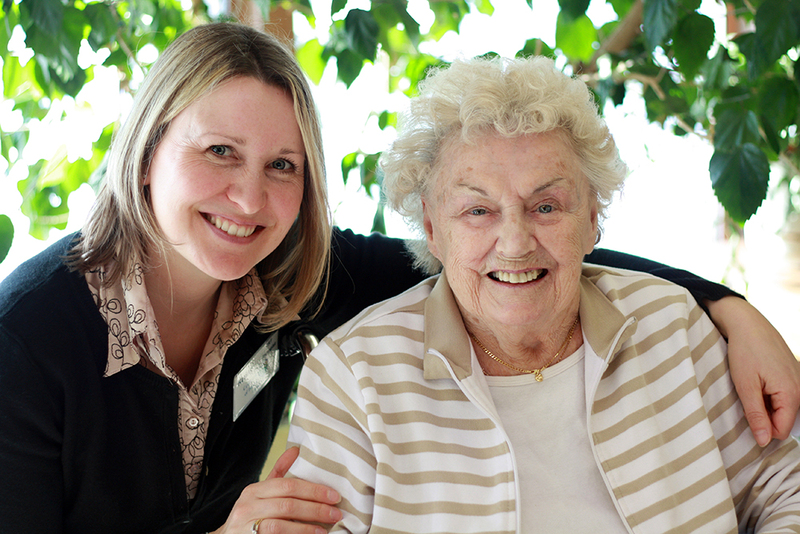 At Comforts of Home – Care the staff know how to be professional, efficient and human. I personally feel for another point particularly thankful: they gave me a chance to work here in Winnipeg, when I felt so “insecure” because I had just move here and was so afraid that I couldn’t speak good enough English to find a job. But I found here no judgment and all the people there let me feel “secure” and confident. I’m glad to work here and I’m glad to know that some elderly people have a chance too to enjoy the services that Comforts of Home – Care is able to provide! Your company has given me the opportunity or privilege to truly make a difference in the lives of the people I have come to know. I think of my clients as my family and what I can do to enrich their lives. I see smiles and shared stories about what your company has brought to our clients. Thank you again for the acknowledgement of Caregiver of the Season. I was very deeply touched by the kind words written. I used the Gift Certificate to the Keg on Friday (July 16th) evening. . . had an AWESOME time. You are to be commended on what you do. Your company has given me the privilege to truly make a difference in the lives of the people I have come to know. I think of my clients as my family and what I can do to enrich their lives. I see smiles and shared stories about what your company has brought to our clients. Mr. H was so very grateful for the difference we have made in his life. I was very humbled to hear what is so very important to him. 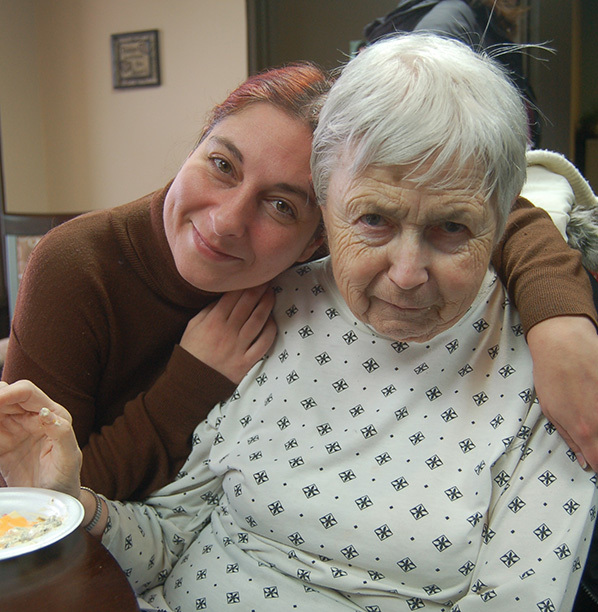 Caregiving is not about chores or other stuff but caring about the client. . . I have brushed a cat, weeded a garden, and taken a client to church. But having a client sit next to me for many hours as everything else in her universe was difficult made my day. Please continue to do what you do and let me do what I hope will make a difference in the people I have come to care about. I thank you and your company for what you allow me to do. You truly make a difference. This has been more than just a job because of the people and personalities I’ve been involved with. My clients have had varied and interesting lives which they are eager to discuss. The clients are such nice people despite, at times, debilitating diseases and physical pain. Many clients have complimented me on the compassionate and gentle care I’ve given them and my patience through their most difficult times. I’ve been told that I’m attentive, caring and considerate as well as efficient assisting clients in awkward situations. With such nice compliments from these clients it makes being with them rewarding. Simply being a good listener and companion comforts them greatly when they are lonely. Thank to Krystyn and staff for making working here enjoyable and rewarding. Just had to write and let you know what a sweet person Mrs. Gladys D is. I don’t normally do a follow-up but she is very unique. Had a great time with her and for someone her age she is very sharp. Did take her for a ride up and down the hallways and we did the crossword puzzle from the paper together. She knew more of the answers than I did! Just to let you know she is a very sweet person and whoever is assigned to here should feel very lucky as she is a gem. On the other hand couldn’t help but see what some of the other residents are going through and felt really bad for some of them. Do most of the caregivers feel the same way? Am so enjoying being able to bring some joy into someone’s life and being there for them but the one’s that seem neglected will always get to me. Sorry, for the down side of things but am also hoping I make a difference in someone’s life at the moment. Tonight was an eye-opener and can see why a company like Comforts of Home – Care can thrive. I am very happy to be part of the team. 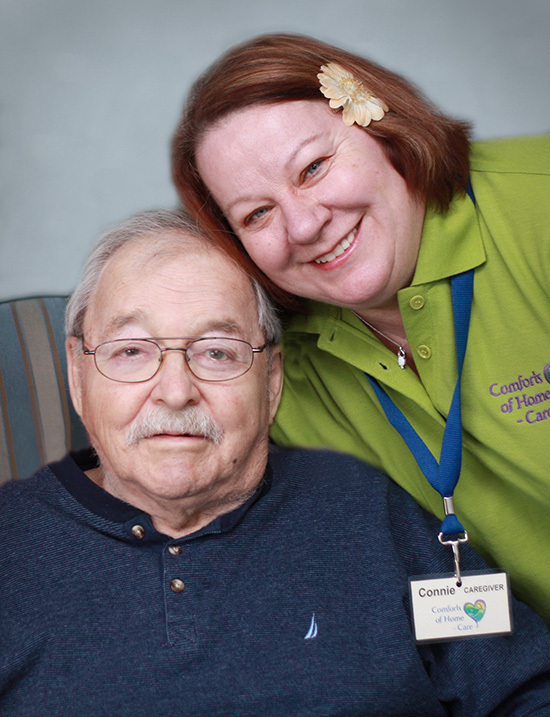 Working at Comforts of Home – Care has been a rewarding experience for me. At times I have found it difficult to call it work. I have met some very wonderful people whom I have grown fond of and would like to refer to them as friends instead of clients. Coming into their homes and meeting their families has enriched my life in many ways. When you spend a significant amount of time getting to know someone it is difficult to not form a special friendship. The staff at Comforts of Home – Care has been a wonderful support system and make it very easy to accommodate to my work schedule. They always have a friendly, understanding and caring voice that I am sure at times is challenging trying to accommodate every caregiver and client. I look forward to a long working relationship with this company. I love what I am doing because I know when I walk into my clients place he/she is happy to see me and I know I am making their day by just being there. The other day I went to one of my clients and spent the afternoon with her. As I was leaving I told her when I would be back and as I was walking out the door she said to me “I will miss you.” It just made my heart skip a beat. I know I really make her day when I am there. I love listening to all the stories they have and they really enjoy telling the stories. And of coarse all the office staff makes it a pleasure to work here; they go above and beyond to place us where we are well suited. Always very friendly and helpful whenever you call or drop in.